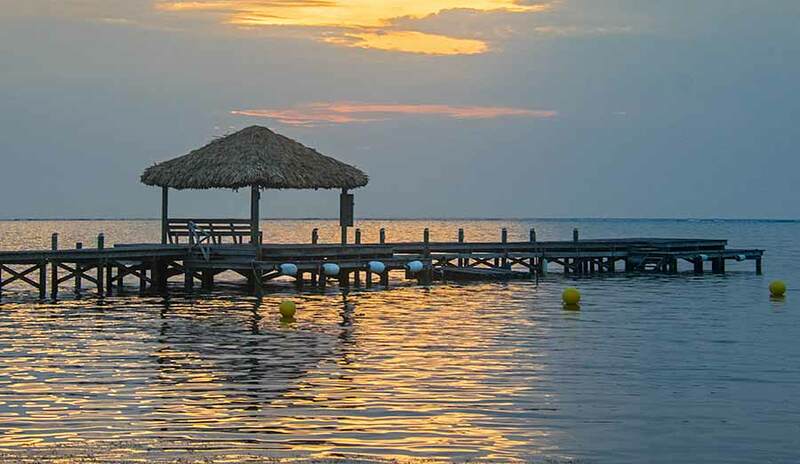 Belize NMS: Conditions becoming less moist and less unstable. Mainly fair weather expected the next few days. 24-hour forecast: Cloudy this morning becoming partly cloudy this afternoon and tonight. Showers and thunderstorms will be isolated, and will develop mainly inland this afternoon and over the south tonight. Today: Winds: Light & variable becoming east 5-10 kt; seas: Light chop; waves: 1-2 ft; only isolated showers. Tomorrow: Winds: East 5-15 kt; seas: Light chop - choppy; waves: 1-3 ft; little or no rain. 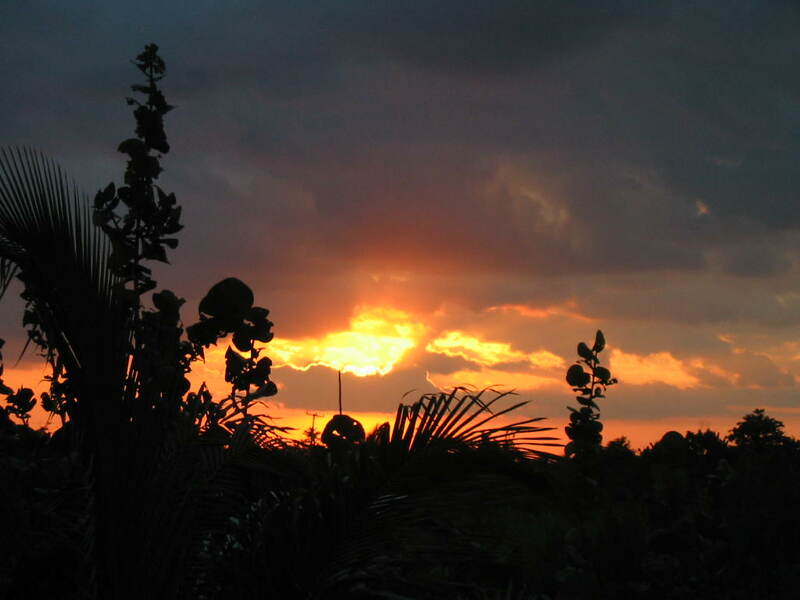 Marine Outlook: (Monday night): Winds: East 5-15 kt; seas: Light chop - choppy; waves: 1-3 ft; little or no rain. General Outlook: (Mon & Mon night) Mainly fair with the chance of isolated afternoon showers or thunderstorms inland. On Ambergris Caye this morning we have no wind, a flat sea with heavy overcast sky. The expected high is 89. Steamy and dreamy...... a soft day for gentle reflection and naps. Amen Diane, Happy Mother's Day! 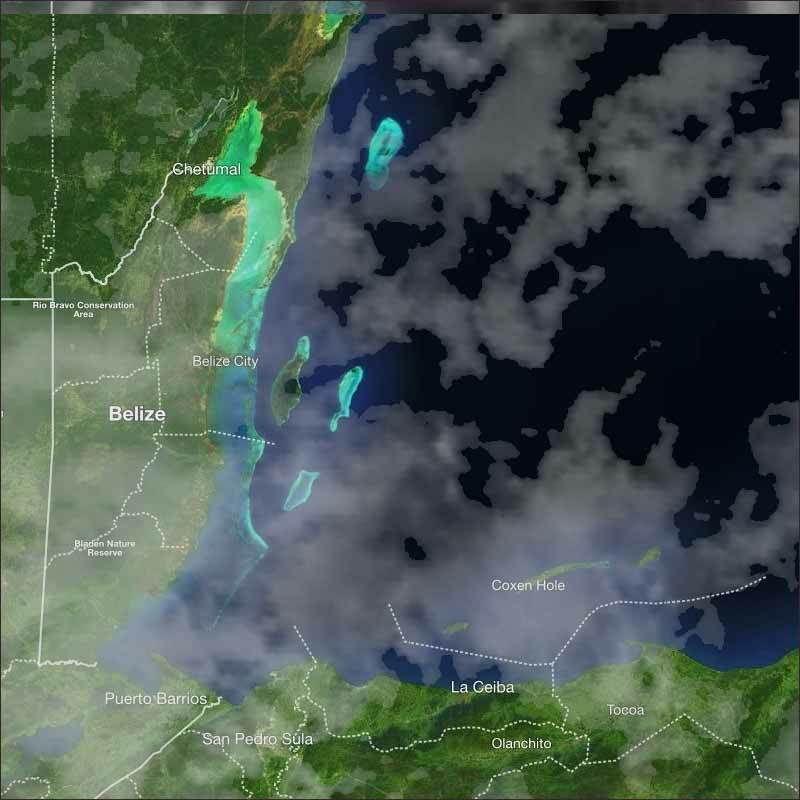 Last night that heavy rain came down from the north just about to Belmopan, I got 0.3mm which is almost nothing. 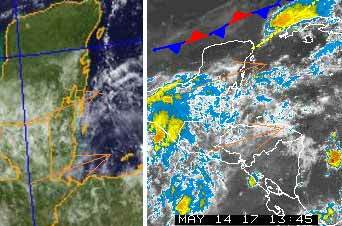 Later rain continued to come in from the west, but was evaporating as is crossed over into Belize and now there is no rain in Belize. That was caused by high level Pacific air turning to rain clouds as it rose up the Guatemalan mountains, helped with swell-ups caused by the approaching cold front over the Gulf, which is now breaking up. There is no indication of any easterly Caribbean winds at present. The night winds were from the west, but they have died down now. Looks like today will be a mixture of cloud and more sunshine later, with the possibility of rain this evening.